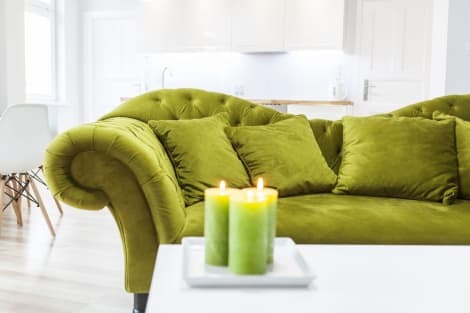 This smoke-free apartment has 1 building and offers offsite parking. A stay at Hotel Rzymski places you in the heart of Poznan, steps from National Museum in Poznan and 3 minutes by foot from Franciscan Church. 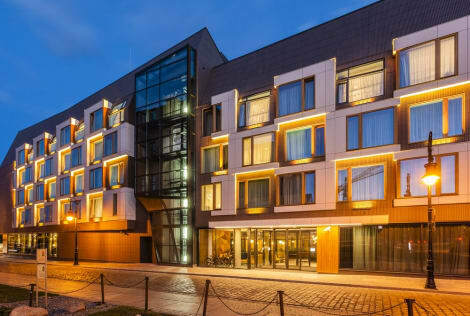 This hotel is 0.2 mi (0.3 km) from Adam Mickiewicz University and 0.7 mi (1.1 km) from Collegium Maius. Take advantage of recreation opportunities such as a 24-hour fitness center, or other amenities including complimentary wireless Internet access and tour/ticket assistance. Guests can catch a ride to nearby destinations on the area shuttle (surcharge). Make yourself at home in one of the 56 guestrooms. Complimentary wireless Internet access keeps you connected, and satellite programming is available for your entertainment. Bathrooms have showers and hair dryers. Conveniences include desks and coffee/tea makers, and housekeeping is provided on a limited basis. Make yourself at home in one of the 2 guestrooms, featuring kitchens with stovetops and dishwashers. Flat-screen televisions are provided for your entertainment. Conveniences include separate sitting areas and coffee/tea makers. Take advantage of the hotel's room service (during limited hours). Quench your thirst with your favorite drink at the bar/lounge. Buffet breakfasts are available daily from 7 AM to 10:00 AM for a fee. Enjoy recreational amenities such as a sauna and a 24-hour fitness center. Additional features at this hotel include complimentary wireless Internet access, concierge services, and gift shops/newsstands. Make yourself at home in one of the 171 air-conditioned rooms featuring minibars and LCD televisions. Complimentary wired and wireless Internet access keeps you connected, and satellite programming provides entertainment. Private bathrooms with showers feature designer toiletries and hair dryers. Conveniences include safes and desks, and you can also request cribs/infant beds (complimentary). Featured amenities include complimentary newspapers in the lobby, a 24-hour front desk, and an elevator (lift). Self parking (subject to charges) is available onsite. Enjoy a satisfying meal at OSKOMA serving guests of Apartamenty Classico. Continental breakfasts are available daily from 8:00 AM to noon for a fee. Poznan is a city in central Poland, next to the Warta River. It's a university city – there are seven based here – and is known for having hosted the Euro 2012 football tournament. Poznan also has a train station on the main line between Berlin and Moscow, making it a popular stop-off for tourists exploring Europe. As such, Poznan hotels tend to fill up well ahead of time. Historically, the city was the first capital of Poland. It's one of the oldest established areas of the country, and the city centre is compact with plenty of public transport links. As you walk along the street in central Poznan, you'll notice that each building is a different colour. When you see them, you'll know you've reached the old market square. It was partially destroyed during WWII, and has been rebuilt to include some of Poznan's most popular pavement cafés, restaurants and bars. The National Museum is in the city – not to be confused with the one in Warsaw – displaying two centuries' worth of Polish and European art. Ostrow Tumski, or Cathedral Island, is an important place to visit, as it's where Poznan was supposedly founded sometime around the ninth century. It sits in between two branches of the river, and is also the site of the Basilica of St Peter and St Paul. The wider region, known as Wielkopolska or Greater Poland, has a reputation for being energetic and vibrant. 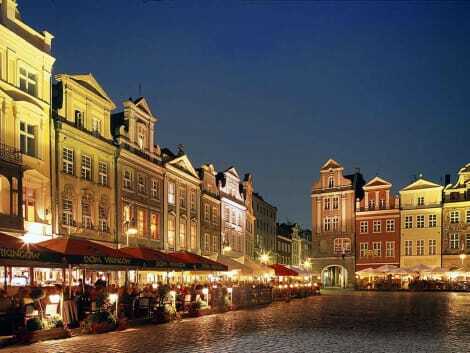 The name of Poznan itself is said to come from the Polish word for ‘someone who is recognised'. Night owls will have plenty to do, and the strong student population boosts that youthful atmosphere. The diverse variety of food available in Poznan covers far more than just Polish cuisine. Go out for Italian, Chinese, Indian, Greek, or anything else you fancy. Eat like a Polish person at Chlopskie Jadlo, one of a chain across the country. Sausages and hams dangle down the walls, and the meat is brought to your SEOSITE_LEVEL_DESCRIPTION as fresh as possible. If you're planning a night out, note that most bars and clubs in the city have a closing time policy of ‘when the last person leaves'.